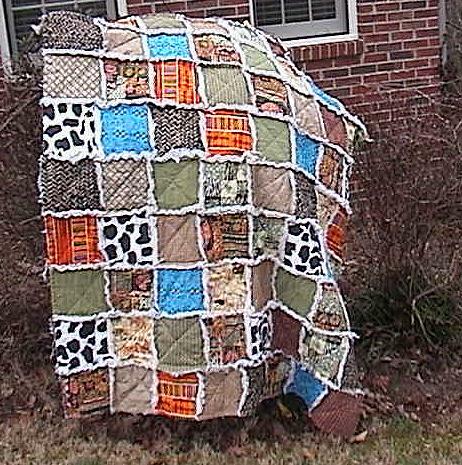 Another beautiful NEW completed Rag Quilt made by me. It is Jungle Safari and African themed. 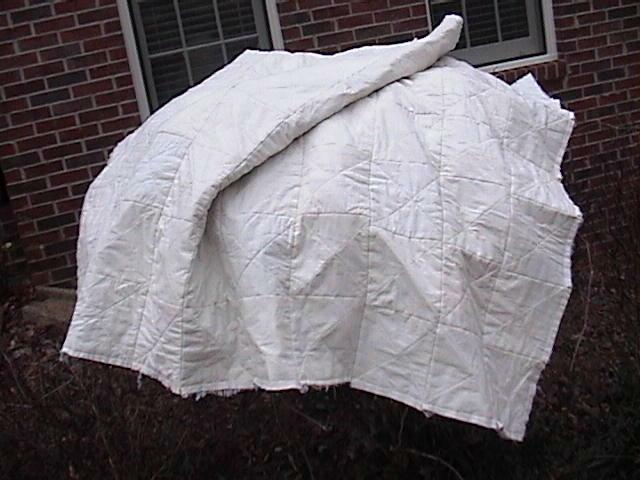 This quilt has been washed to begin the ragging effect. 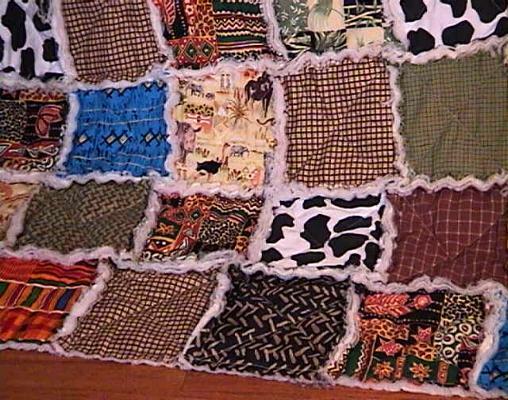 This size is great for a throw; or can be hung on the wall or lap quilt. This is not a kit. 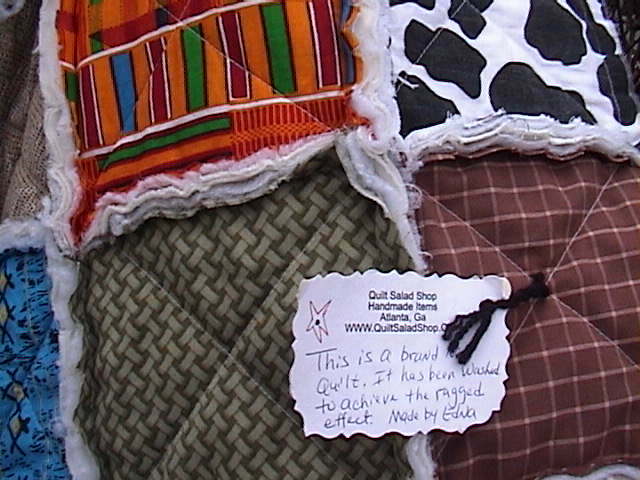 You will receive this completed quilt that is shown in the photos. 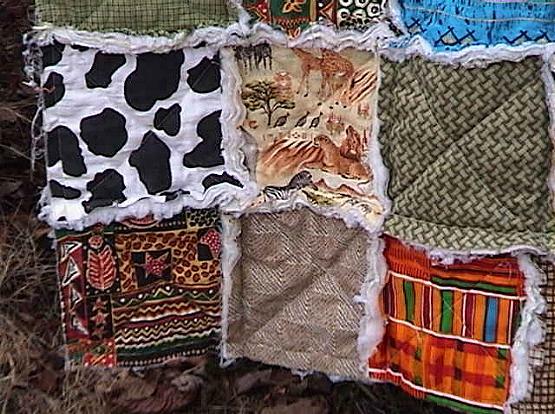 There are numerous NEW African cotton fabrics in this quilt. The back is a good quality SOFT natural offwhite, creamy muslin. This was machine quilted by me. Just beautiful. 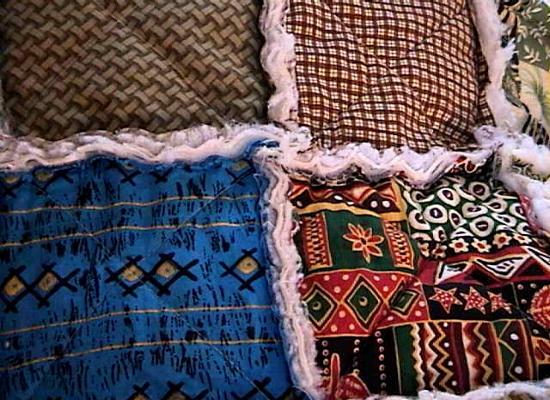 Fabrics are pre-washed good quality 100% cottons. 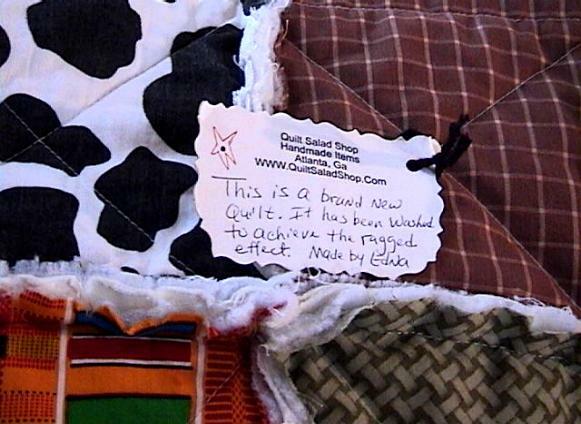 The label on the quilt shows my website. 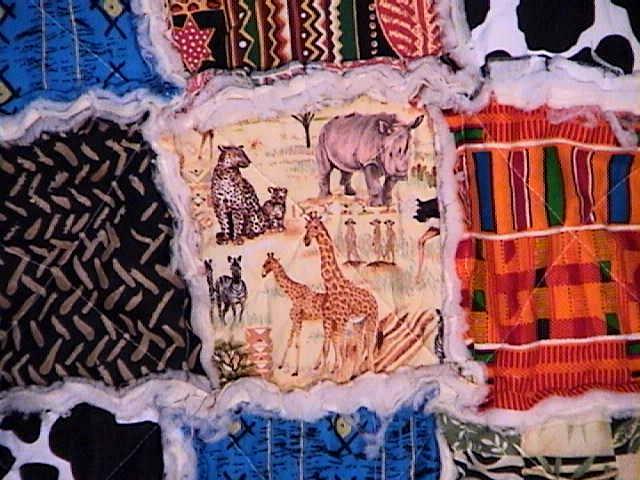 Notice the guinea, lions, zebras, giraffee, and more in the photo above. Notice the ostrich, rhino, elephants and other animals in the photo above. 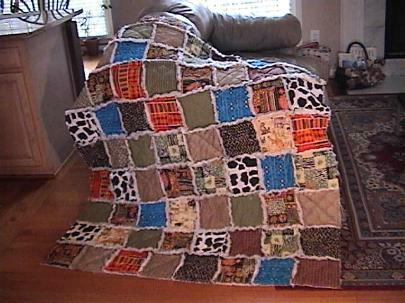 The photo above shows the back of the quilt. 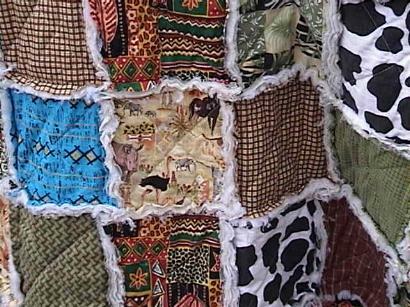 Shipping for this lovely quilt is only 12.95 in the USA.